This post originally appeared on the blog of the CGIAR Research Program on Climate Change, Agriculture and Food Security (CCAFS). Climate change is threatening farmers’ livelihoods in Ethiopia. Climate information services are a critical component of climate adaptation in the country. Making climate information available to policymakers at the national level as well as to smallholder farmers to inform their decision-making is a key goal of the Ethiopian government and its partners. 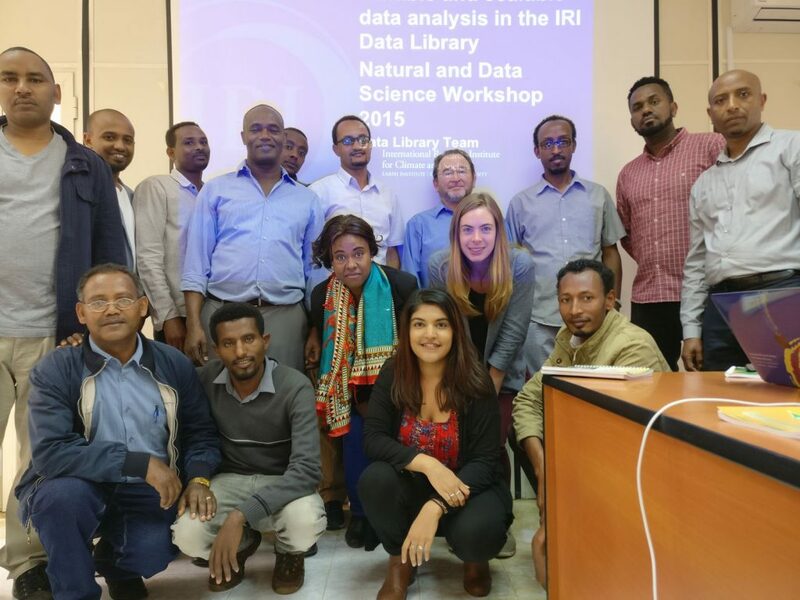 The International Research Institute for Climate and Society (IRI) developed the data library through the Enhancing National Climate Services (ENACTS) initiative. ENACTS is a multi-faceted, multi-country initiative, designed to bring climate knowledge into national decision-making through a three-pronged approach: improving availability of, access to, and use of targeted climate information. The NMA Maproom adds context to data. Workshop participants learned that the data in NMA Maproom is linked to maps, figures, and tools for visualizing, querying, and accessing information products. The maproom’s user-friendly interface and glossary enable non-technical users to manipulate and analyze this data with relatively little training. Each map and figure is linked to the raw data in the IRI Data Library where technical experts can also engage on a deeper level. Workshop participants offered feedback on multiple methods for increasing the utility of the NMA Maproom, namely offering training at high schools and universities so that students can utilize the maproom for research projects and Ph.D. dissertations, with the added benefit of encouraging young researchers to pursue careers in climate-related fields. 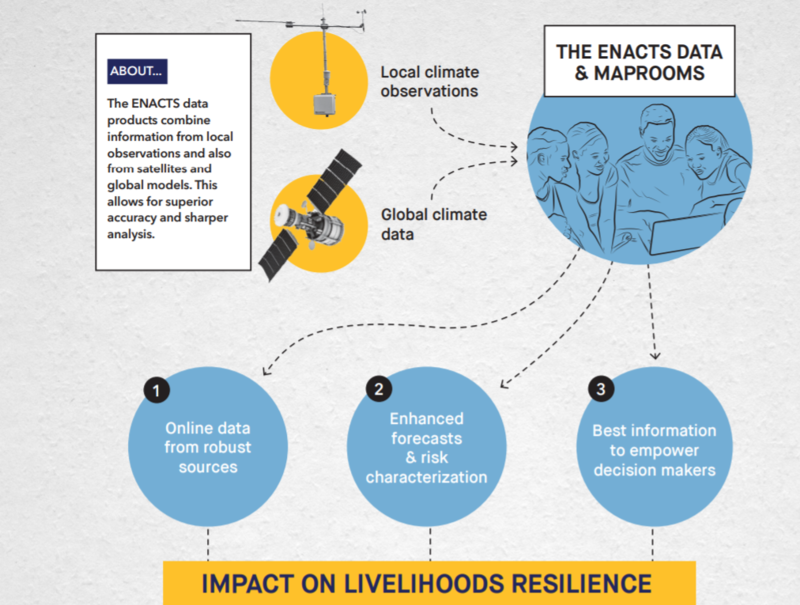 ENACTS: Transforming climate-sensitive decisions in Ethiopia flyer.